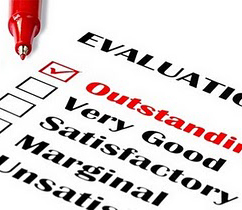 “Frankly, we were not very surprised when Harvard Business Review reported that by early 2015, around 30 large companies, representing over 1.5 million employees, ditched their annual performance reviews,” Karen Leong and Mukul Deva, directors at Influence Solutions, told HRD. These firms have chosen alternate systems – a positive move which actually helps people grow and improve results within the organisation, they said. The pair spoke about one of their clients, an MNC, which had moved away from the traditional review process. After switching to monthly conversations between the managers and those below them, the firm found that each employee was helped in three key areas: where their performance currently stood, where it needed to go, and what support or training they required to get there. “We are delighted to share that shifting to well-shaped, brief, monthly conversations has helped this client and many others make their performance management system very positive, proactive and robust,” they said. When asked what HR could do to get the most out of the performance process, Leong and Deva highlighted three key areas of focus. While annual reviews are helpful in measuring the performance of an individual, they are not very effective at helping that person get better at their job, they said. These discussions enable managers to guide team members by charting their progress, eliminating hurdles and ultimately improving performance. “Shift the focus of the conversation – from judging past performance to helping employees develop and enhance their results in the coming months,” said Leong and Deva. By aligning both personal and organisational goals, team leaders will find it easier to motivate their team and drive better results. The performance review should also be a two-way conversation, they added. Finally, Leong and Deva said that many managers don’t know how to lead effective discussions with staff during performance reviews.